Registered within the Cornhusker Council and in good standing for at least 30 days prior to completing an application. Recommended by his/her Unit Leader (Committee Chair, Cubmaster, Scoutmaster, or Advisor) and Parent/Guardian. When a Unit Leader enters the information in to the Cornhusker Council website it is their responsibility to ensure all parties are in agreement with the information provided. 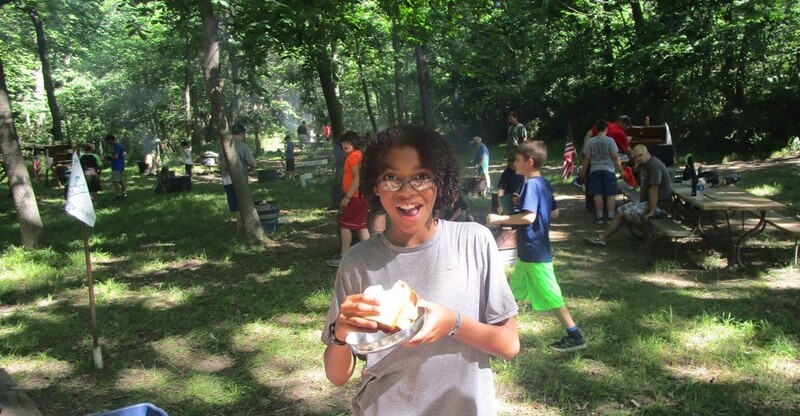 We urge your assistance in applying for camperships for youth who could not attend camp without financial assistance. In keeping with the philosophy of “pay your own way”, each youth should pay a portion of the fee. Camperships are awarded based primarily on need. The more information the campership committee has about the Scout’s particular need, the better.The Cornhusker Council also reserves the right to consider the unit’s participation in Council administered product sales as demonstrating a concerted effort to raise these funds. The family and unit should also contribute to the cost of the camp experience. Camperships awarded will not exceed 65% of the event fee. Applying for campership aid must be done by APRIL 1st to allow time for review and response. If approved, the campership amount will be sent to the camp or to the National Conference when registration of the individual is confirmed. Fees will be credited as camp payment in the Scout’s name within the Cornhusker Council Summer Camp Reservations portion of its website. The campership is to a specific individual and is not transferable to other youth. Apply separately for each Scout needing assistance. All information requested on is needed when applying. Assistance will be considered based on need, the youth’s unit’s support of the mission of the Cornhusker Council including participation in the Friends of Scouting Campaign and Popcorn Sale and/or Camp Card Sale. All requests must be submitted by APRIL 1st. All campership applications submitted on time will be considered based on the financial need of the Scout in relation to the other applications received and available funds. Any campership applications received after April 1, 2018 will only be considered if there are funds remaining. Your request will be reviewed by committee within the Cornhusker Council the applicant is registered in. Campership awards and information is confidential and will not be shared outside of the campership committee. After review notification will be done by the Cornhusker Council to the Campership Recipient’s family and Unit Leadership including the assistance decision. Assistance funds will be credited to each Scout when they attend the event they applied for. Funds are only usable by the individual whom the assistance was granted. Scouts are only eligible to receive one form of financial assistance. Thrifty: A Scout works to pay his own way and help others. He saves for the future. He protects and conserves natural resources. He carefully uses time and property. Use this worksheet to gather information before filling out the application. Participant reservation fee is non-refundable. You will lose the non-refundable deposit for each participant deducted from your reservation. 30 days or more before day 1 of your scheduled week; 100% of payments to date, less $60 per person deposit, is refundable. From 16-29 days before day 1 of your scheduled week; 50% of payments to date, less $60 per person deposit, is refundable. Less than 15 days before day 1 of your scheduled week; no refund is available unless there has been a medical emergency. All requests for refunds must be in writing to the Scout Executive, Cornhusker Council, BSA, 600 S 120th St, P.O. Box 269, Walton, NE 68461-0269. The postmark determines the date of a request for refunds.